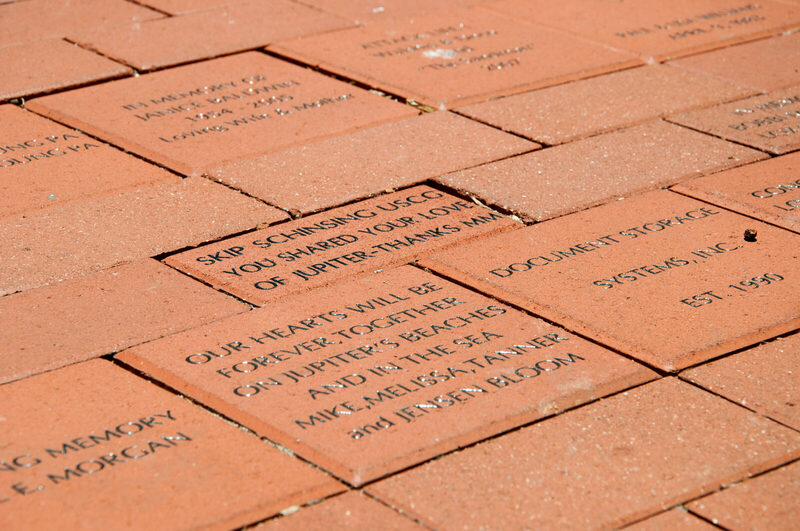 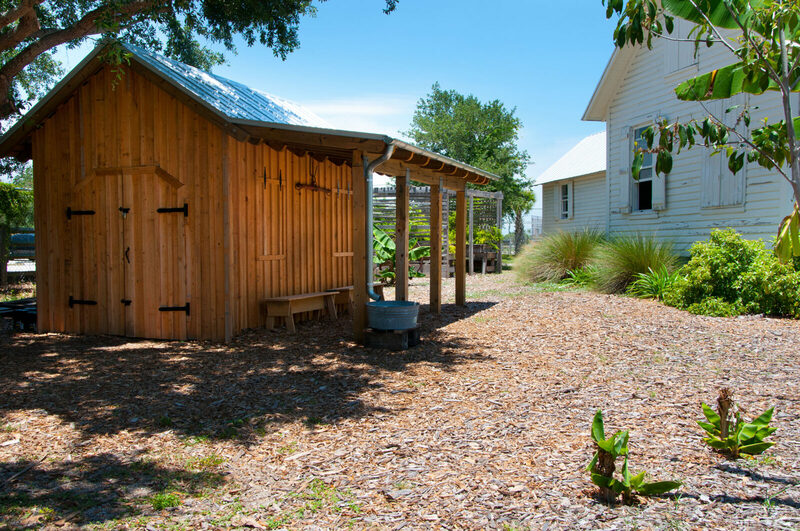 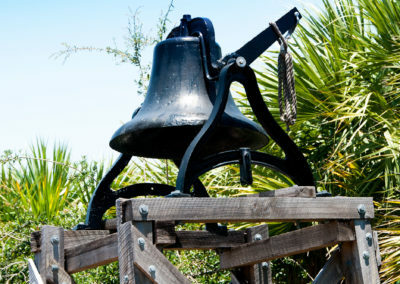 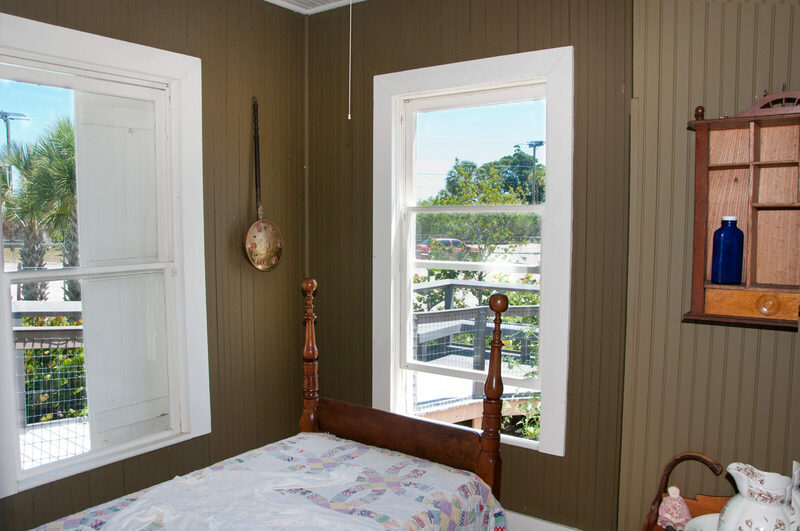 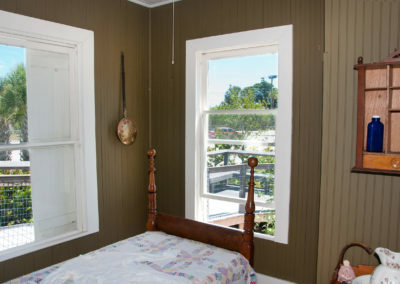 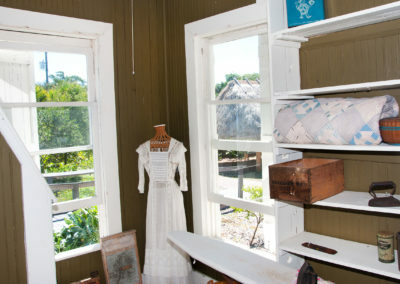 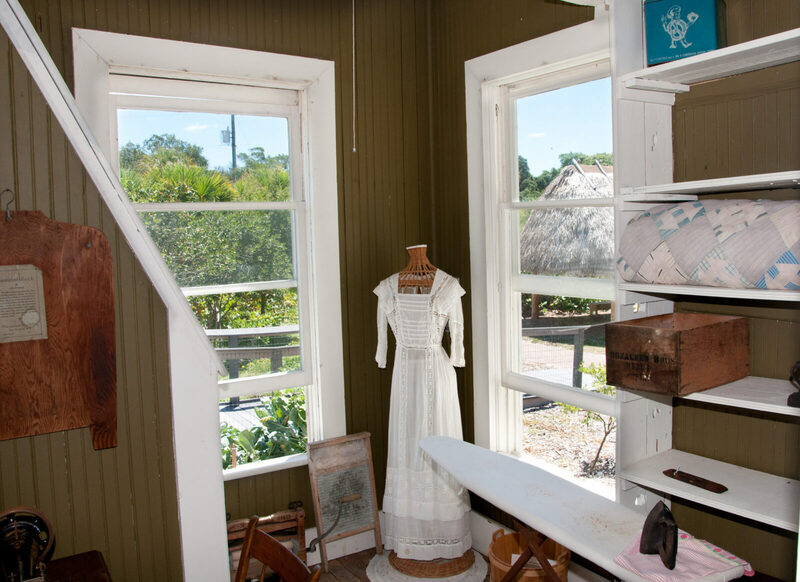 On your tour, visit the Tindall Pioneer Homestead, the earliest house still existing in Jupiter. 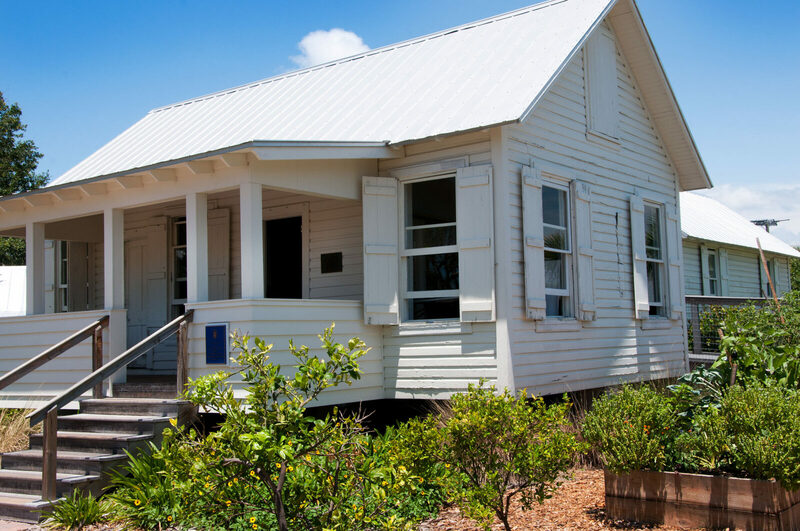 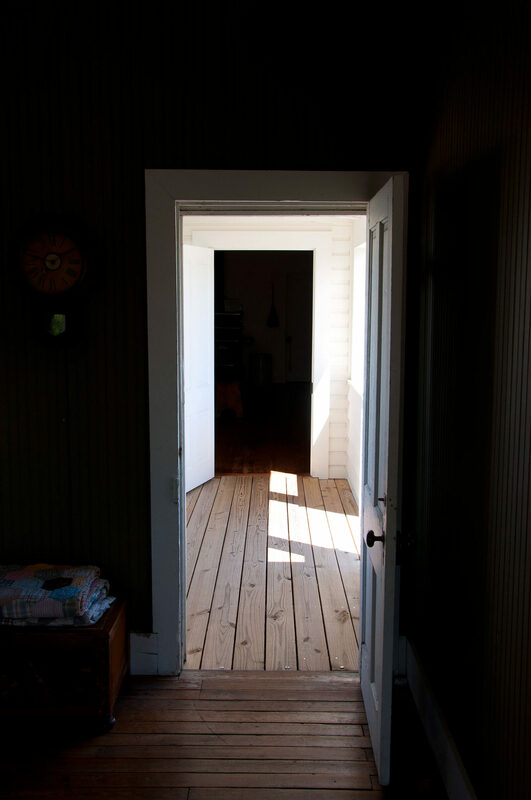 Originally located a mile up the Loxahatchee River next to the early Pennock Plantation on the south side of the river, the 1892 house was home to George Washington Tindall and Mary Pilcher Tindall and eight of their ten children. 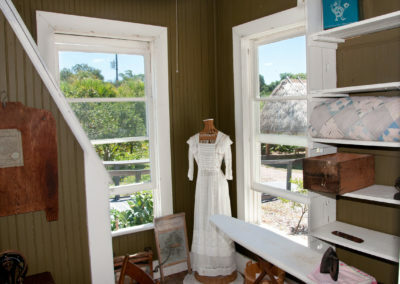 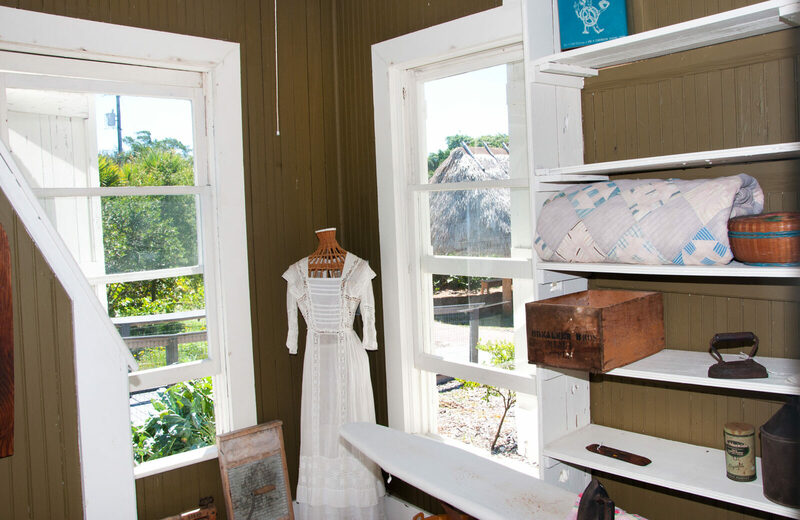 The homestead gives a glimpse of early life along the Loxahatchee for brave pioneering families. 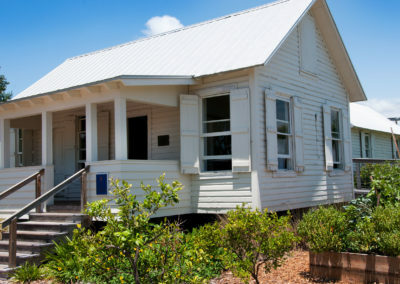 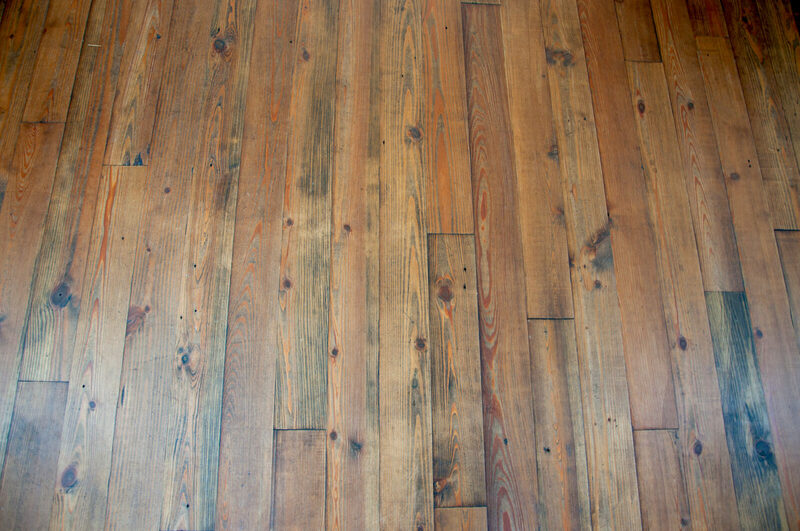 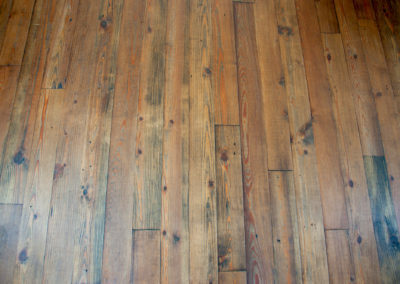 The building is typical of houses built by early settlers in Florida. 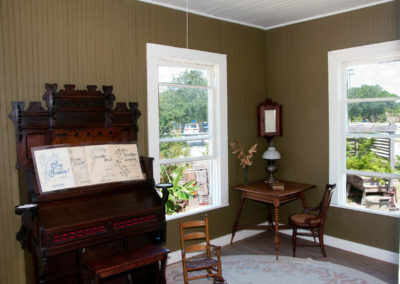 Called cracker-style, its characteristics are a pitch roof, porches and wide eaves for shade, multiple windows and doors for light and ventilation, and slatted shutters. 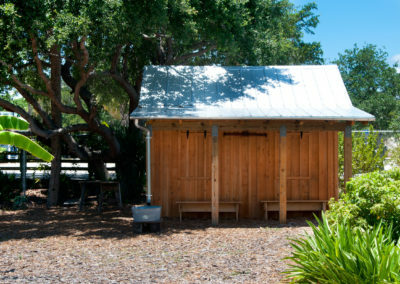 The roof was originally palmetto thatch, later replaced with tin due to risk of fire. 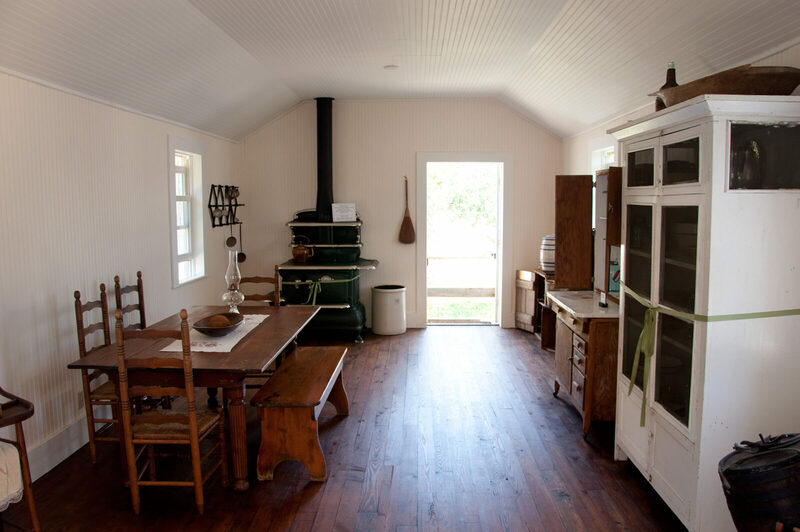 Rain ran down the steep roof into a barrel or cistern, from which the occupants drew their only potable water. 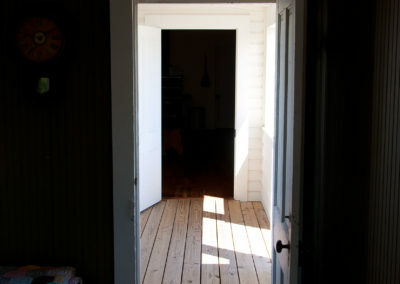 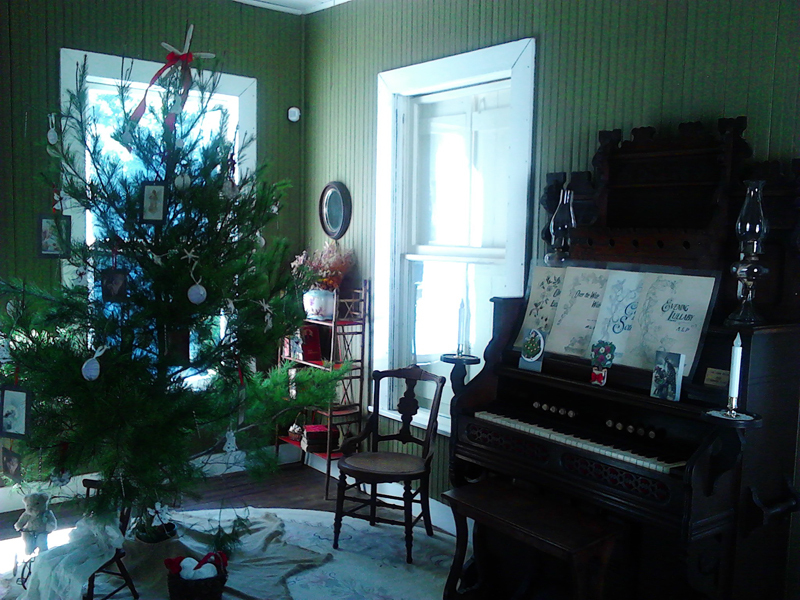 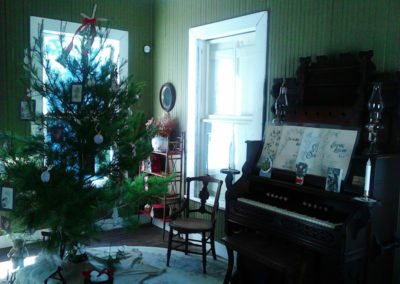 The house was fully restored and moved here to provide the homestead exhibit. 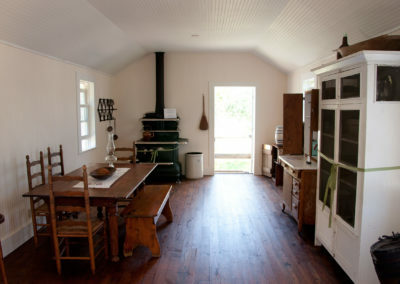 The front porch, breezeway and summer kitchen were reconstructed from photos. 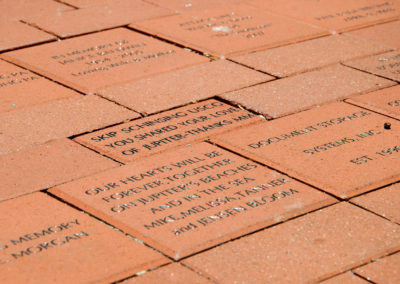 A non-historical ramp has been added on the east side of the breezeway for the convenience of visitors. 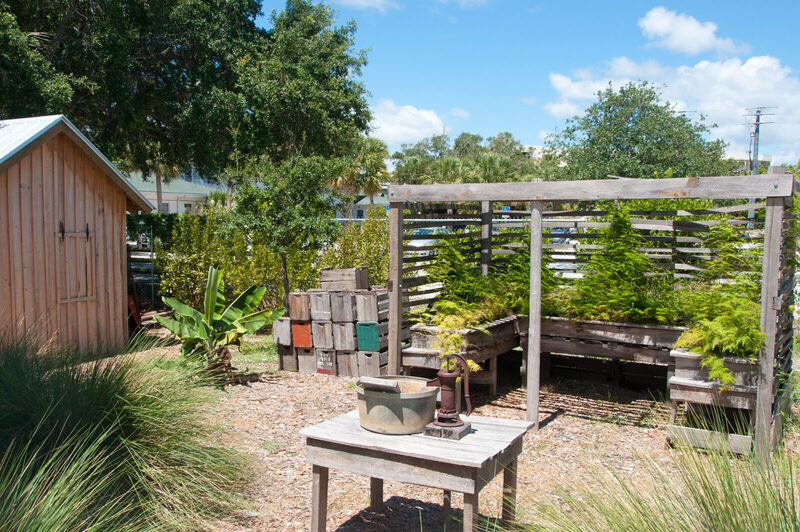 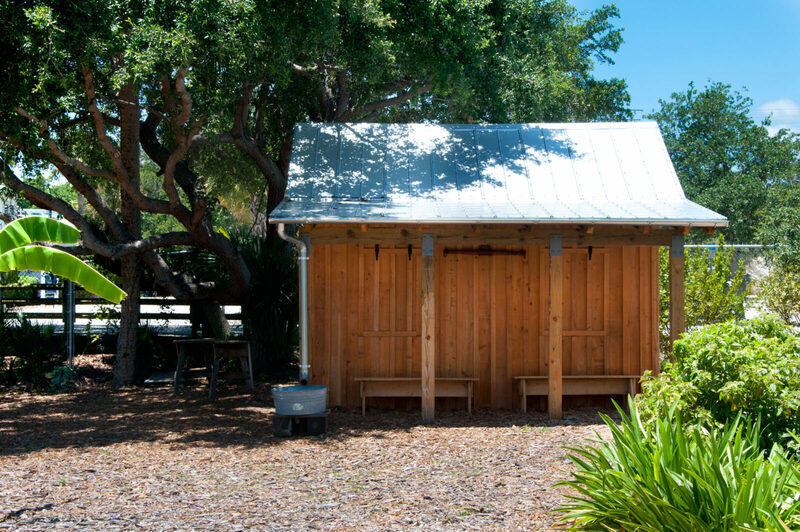 The small replica fern shed west of kitchen represents Jupiter’s fern growing industry at the turn of the century. 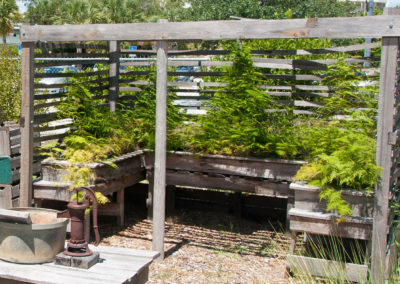 On the west side of the breezeway there would have been several steps down to a path leading to a water pump where the ramp is now. 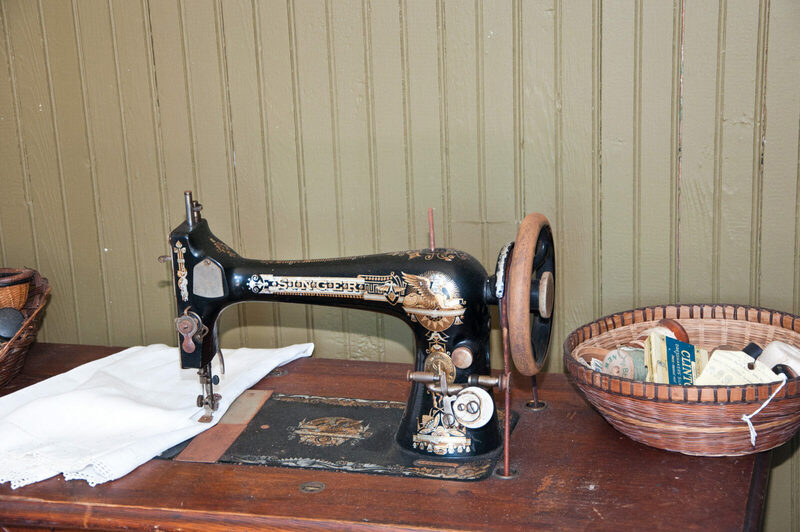 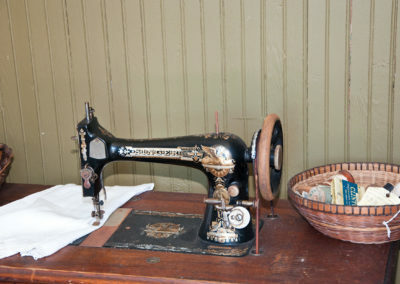 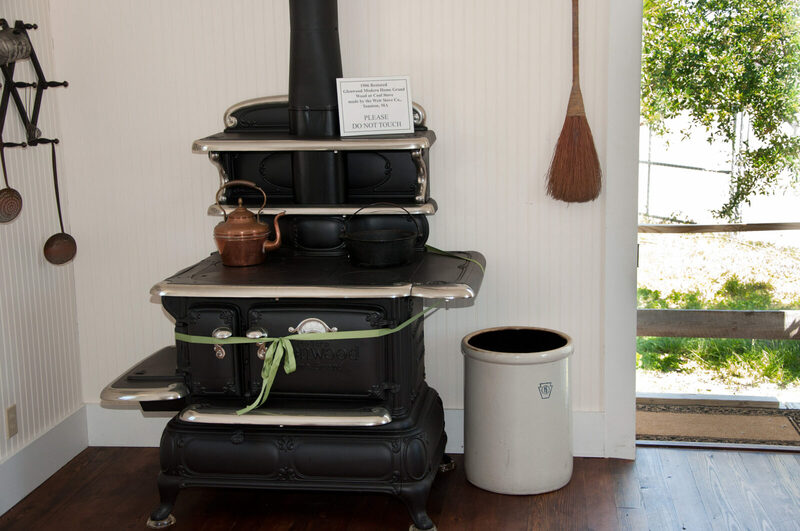 Both house and kitchen are furnished from our Museum’s collection and feature furniture and objects from many of our early pioneers, including the food safe and kitchen table from the Carlin House. 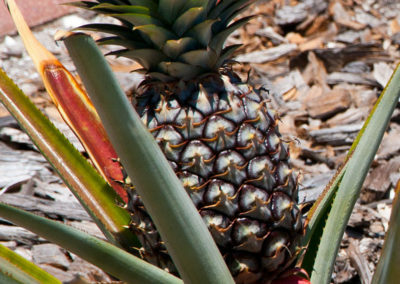 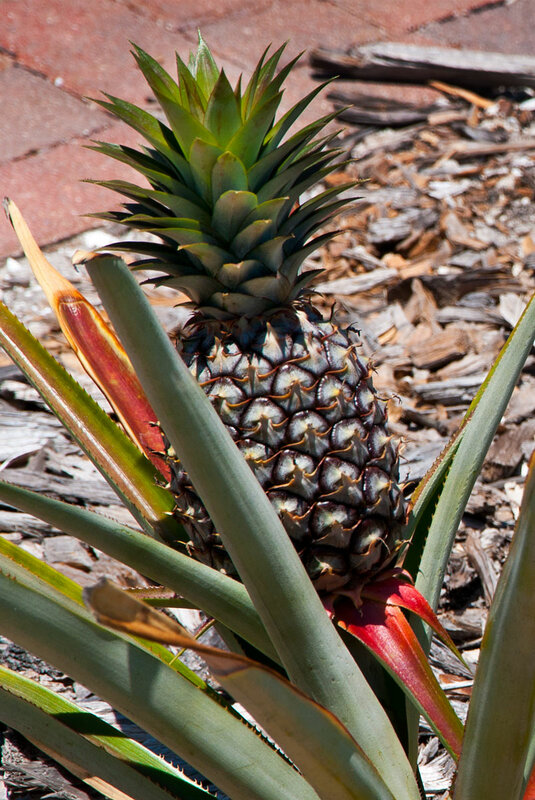 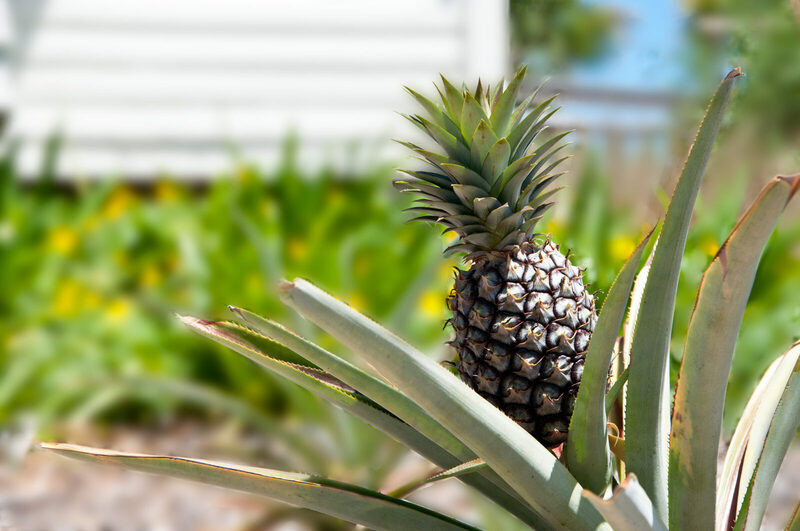 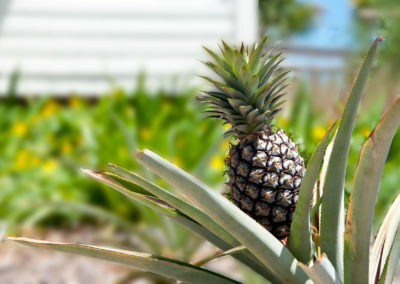 Look for tradition crops and fruit trees surrounding the home, including pineapples, which was an important crop for a time in the area, bananas, guava, citrus and agave. 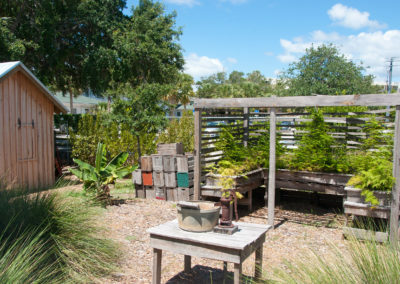 During the cooler months vegetables are grown organically in the raised boxes. 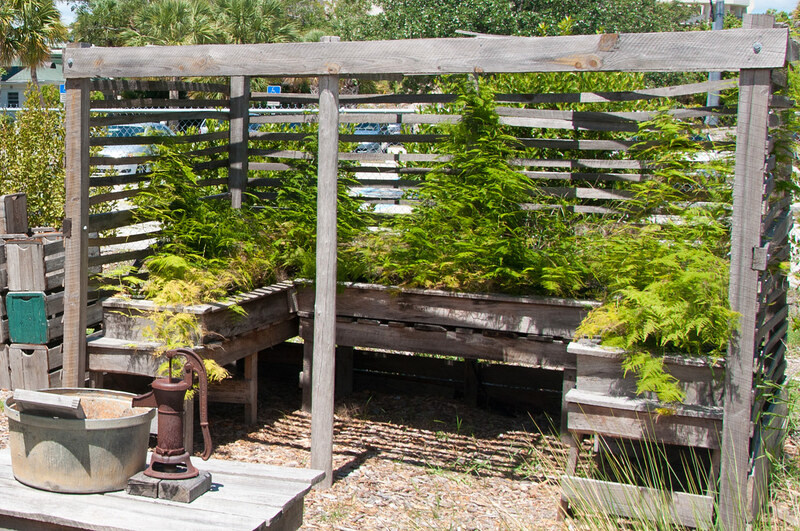 Foxes have been known to live under the ramp and occasionally pose for photographs!